Click here to take our Scouting 101 Tour! 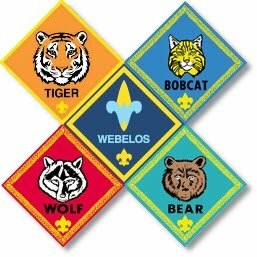 WELCOME to Cub Scout Pack 121's website! We hope that you find it a useful source of information about the Scouting program. Be sure to like our Facebook Page. We also have a Pinterest page, where you can find all sorts of information and ideas! Click on events for more details!